Recurring themes in Life Leadership. | The Solar Nerd. Recurring themes in Life Leadership. Over the last 2 years I’ve listened to over 1,000 Life Leadership audio lessons played over my smartphone, home computer and on the CD player in my old Toyota. I’ve also become a voracious reader, pouring into everything from biographies of Winston Churchill and John Adams to books by authors such as Chris Brady, Orrin Woodward, Robert Kiyosaki, Florence Littauer, Jim Collins, David Schwartz, Napoleon Hill, Jack Canfield, Steve Farrar, Tim Ferriss, Og Mandino, Micheal Lewis, Claude Hamilton and many (many) others. This informal training has helped me grow Balloon Distractions as well as my Life Leadership community, not to mention the positive changes in my personal life. Before church this morning I was swimming laps and thinking about the recurring themes that have popped up in the Life material, and how those themes have pointed me in a very specific direction. I’d like to list those themes here, perhaps to help you deepen your understanding of what Life Leadership is really about. The value of a self-directed education. No one put a handgun to my head and told me I had to study leadership, finances, or relationships. It was through honest introspection that I realized my need for deeper learning in all these subjects. The more I learn they more I’m realizing how much MORE I have to learn. My goal now is to keep reading, listening and learning until I’m dead. This is a great formula for living a more dynamic life! Life is hard enough, but we make it harder by taking on debt. The media bombards us with images of stuff we can buy “with an easy monthly payment”. After listening to Life’s material on Financial Fitness I chopped up my credit cards and went after my debt with vengeance. 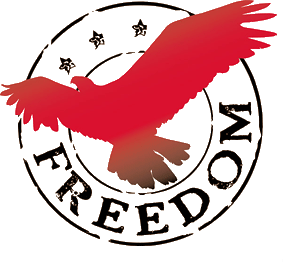 Even if I never make another dime from Life Leadership I’ll be debt free in the next year or so; no mortgage, no balances, owning everything I have outright. Last month I hit the Leader level in Life, if you look at the most recent Income Disclosure Statement (IDS) the average monthly income at Leader level is $4,153. That’s not exactly “millionaire money” but it certainly goes a long ways towards paying off my 4 bedroom home! The next level on the IDS is Coordinator, at an average income of $8,835 per MONTH. $8K per month in extra income will make a difference in anyone’s life, I don’t care what your situation might be. My goal is to hit Coordinator by the end of this year. When I do that I’ll certainly write about it! The value of Family and Marriage. When Randy Crain shared the Life material with me 2 years ago my marriage was in crisis. I had gotten off track, helped along by alcohol and the stress of overwhelming debt. I began to LISTEN and learn, slowly getting my marriage back, slowly gaining control of my finances, and eradicating alcohol from my life. I’m still a work in progress, I still upset my wife occasionally, but I know that I’m on the right path. My mentors in Life have rock-solid marriages, and they serve as examples to me on a daily basis. You need profits to pay the bills, but you need a noble purpose to live a better life. Orrin Woodward and Chris Brady could have become highly paid speakers and authors on the lecture circuit without the hassles of building a compensated community. They took the harder path in order to create an opportunity for regular people to master entrepreneurship and gain their freedom. Why we all need to study Entrepreneurship. Technology continues to replace jobs in our economy. The skillsets you’ll need to succeed in a job are very different from what you need to know to run a business. Life Leadership could become the best platform to teach entrepreneurship on this planet over the next few decades. You can learn about owning a business in your car, on the commute to your job. You can build your Life business on the side, and learn while you go. What TRUE Freedom looks like. True freedom is all about ownership; your business, your home, your car, your destiny. You can scale your Life business to $1,000 per month or $500,000 per month, based on your hard work over a long period of time. When your Life income outpaces your job income you can walk away from your boss and never look back. You’ll no longer need to trade time for money. YOUR choice, your freedom, no obligations to anyone outside your family! I heard this phrase many times as I began listening but it took a long time to sink in. We all come into Life Leadership judging people, harboring resentments, jealousies, past hurts, disappointments, etc. None of that negative baggage in your heart helps you move forward or relate to people better. As you deepen your faith and find your purpose you begin to replace the darkness in your heart with more compassion and understanding for others. I’m still not all the way there myself, but listening to the Life CDs has made me aware of the problem. This is just a short list of what I’ve learned, as more pop up I will add them to this blog.